Made By Scott Drake with heavier gauge steel than the other's. They use the Ford print to make these exactly as the originals. They actually fit without the need for modification. They are the best braces on the market today. Greatly reduces twisting of the chassis. 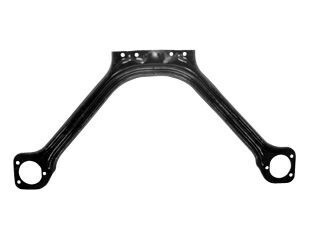 Also strengthens the front end and helps reduce shock tower fatigue and cracking.